Russiaville, Indiana filed a declaratory judgment action asserting patent invalidity and non-infringement in the Southern District of Indiana. This intellectual property complaint alleges that Low Voltage Systems, Inc. d/b/a LVS, Inc. of San Leandro, California and Albert L. Hermans of Oakland, California wrongfully accused Functional Devices of infringing Utility Patent No. 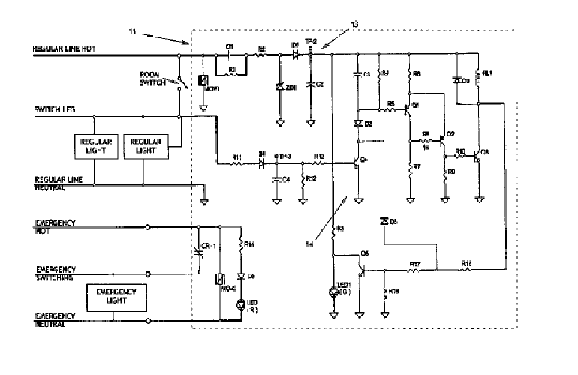 7,045,964, “Emergency Lighting System with Automatic Diagnostic Test” (“the ‘964 Patent”), which was issued by the U.S. Patent Office. Declaratory judgment Plaintiff Functional Devices been designing, manufacturing, and selling electronic devices in the United States since 1969. It sells relays, current sensors, power control, enclosures, power supplies, transformers, and accessories. Declaratory judgment Defendant Low Voltage offers a line of electrical, low voltage, fire alarm, access control, security, video, and voice and data fiber optics products. It specializes in emergency lighting products, central-lighting inverters and power-control relays. Declaratory judgment Defendant Hermans is the owner of the ‘964 Patent. He is believed to have assigned or exclusively licensed the ‘964 Patent to Low Voltage. Functional Devices asserts that it has been wrongly accused by LVS of infringing the ‘964 Patent. It indicates that, on August 28, 2014, patent counsel for LVS sent Functional Devices a demand letter contending that the manufacture, use, sale, and offer for sale of certain products infringes the ‘964 Patent. This letter, it claims, creates an actual, substantial, and continuing justiciable controversy between Functional Devices and LVS. Functional Devices seeks a declaration from the court that 1) the ‘964 Patent is invalid and unenforceable and 2) no Functional Devices product infringes the ‘964 Patent. It also asks the court to order Low Voltage and Hermans to pay all costs and attorneys’ fees associated with the litigation. Practice Tip #1: When the declaratory judgment plaintiff files in its home jurisdiction, establishing personal jurisdiction over declaratory judgment defendants is sometimes tricky and can lead to competing lawsuits in different jurisdictions. The first-to-file rule is a doctrine of federal comity that generally favors pursuing only the first-filed action when multiple lawsuits involving the same claims are filed in different jurisdictions. It was designed to avoid conflicting decisions and promote judicial efficiency. Finding an exception to the first-to-file rule requires a sound reason that would make it unjust or inefficient to continue the first-filed action. Practice Tip #2: A court may also consider the extent to which a declaratory judgment action is anticipatory and motivated by forum shopping. However, the Federal Circuit has repeatedly held that a finding that a filing was anticipatory does not in itself constitute sufficient legal reason to transfer or dismiss the first-filed case. The suit was filed by Holiday W. Banta and Jonathan E. Payne of Ice Miller LLP. The case was assigned to Judge Tanya Walton Pratt and Magistrate Judge Debra McVicker Lynch in the Southern District of Indiana and assigned Case No. 1:14-cv-01517-TWP-DML.